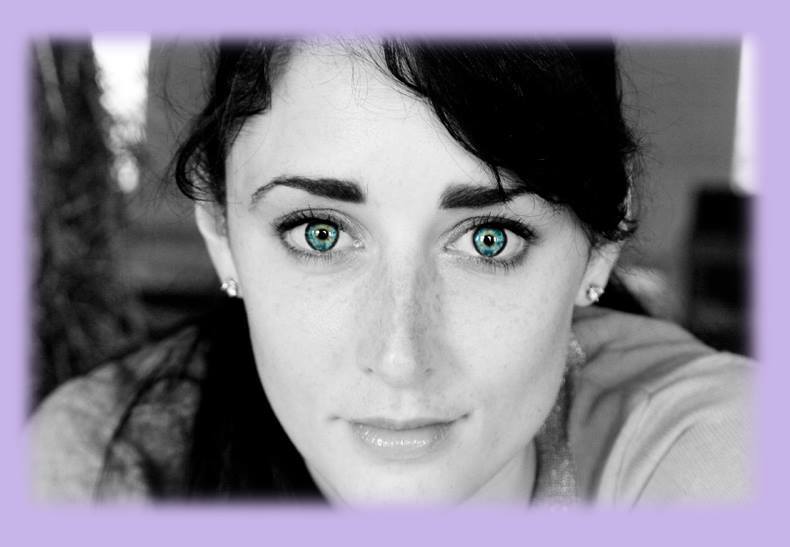 Enna Peterson is back, but this time around, the comedic heroine that has sprung from the mind of (and is loosely based upon) Scranton resident Eleanor Gwyn-Jones is in an entirely different place than when we last saw her. 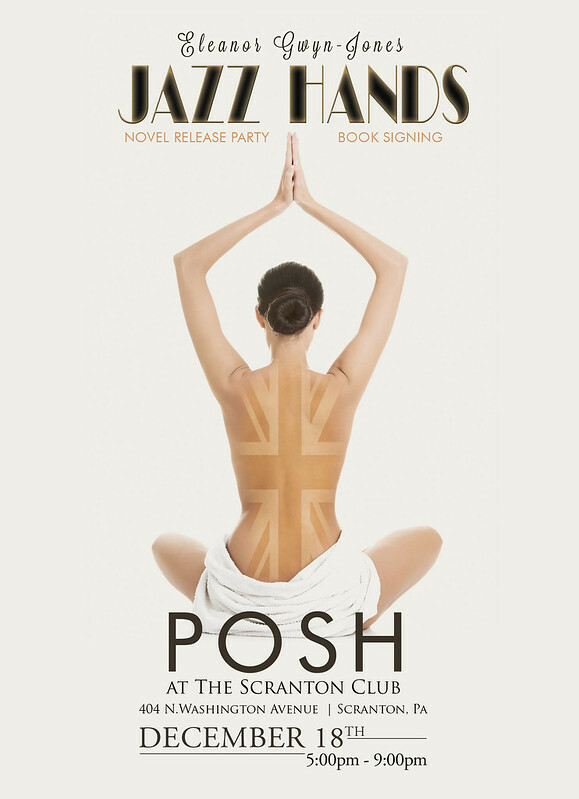 “Jazz Hands,” which was released officially Tuesday, will be celebrated tonight at POSH at the Scranton Club, the follow-up novel to Gwyn-Jones’ 2013 book, “Theatricks.” The books are now dubbed the “Brit Out of Water” series. “She is stranded in Scranton in the middle of the winter with no return ticket to England, no finances, no plans – she doesn’t even have a winter jacket,” Gwyn-Jones said during a recent phone interview. In the first novel, Enna relied heavily on the theatre, as it made her who she was. Gwyn-Jones said that thought process if very different this time around. The catalyst for such a dramatic shift in self-view comes when Enna reconnects with a friend living in America, a person who takes Enna to her first yoga class. Much like many of the events in “Theatricks,” the appearance of yoga is something that also happened in Gwyn-Jones’ actual life. “In the last few years, I started going to yoga, and it’s just so interesting, the effect it has on you, and it’s not just physically making you stronger,” the author said. “Yoga mentally builds Enna back up. She is at her lowest ebb. She questions what she wants, she questions her worth, and the yoga helps build her back up again and makes her focus on what she really wants and what she really deserves. It’s an activity that also helped keep Enna’s clumsy, comedic side intact, despite the dire situation she finds herself in. “Yoga is not ballet; it’s not graceful at times,” Gwyn-Jones noted with a laugh. Not only was Gwyn-Jones thrilled to be able to add the yoga aspect of her life into the book, she was also happy to include much more of Scranton. “Since I’ve finished ‘Theatricks,’ I’ve gotten to know Scranton much better as a place, and the people and what it has to offer,” she said. There’s a scene set at Carl Von Luger Steak & Seafood Restaurant, and Enna finds herself walking around Courthouse Square, peering at the Electric City sign and eventually ducking into Northern Light Espresso Bar & Café for a coffee. Enna also lands in Brooklyn for a brief period of time, something Gwyn-Jones did herself in 2011. 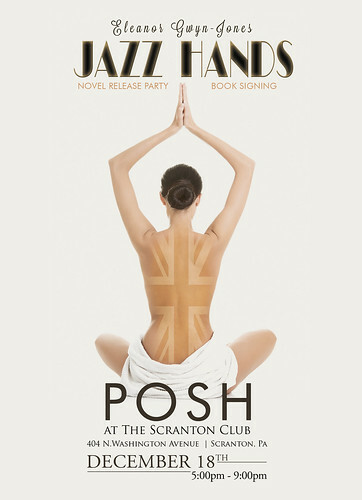 Much like “Theatricks,” a resounding theme in “Jazz Hands” is home. Gwyn-Jones infuses the appreciation she feels for Scranton into her writings. She already can’t believe the response she’s received about the release of “Jazz Hands,” which kicks off officially tonight. Not only will the author be around to sign books and do a reading, she’s teamed up with local saxophonist Tom Hamilton, who just released an album of original tunes, “Work in Progress.” He will play a set accompanied by international jazz musicians Marko Marcinko, Paul Rostock, Bill Washer, Bob Velez, Jimmy Buckley, and Danny Gonzales. Some of the proceeds of the book sales will also go to a good, local cause: Adelaide’s Army, a nonprofit to aid Adelaide Kanton, the 7-year-old daughter of Gwyn-Jones’ friend Meredith, a young girl who is fighting leukemia. 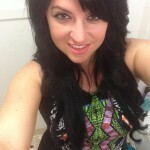 Find Eleanor Gwyn-Jones on Facebook, Twitter, or her website. “Jazz Hands” is also available on Amazon.